A good businessman understands the importance of correct marketing to promote his business at every possible platform. 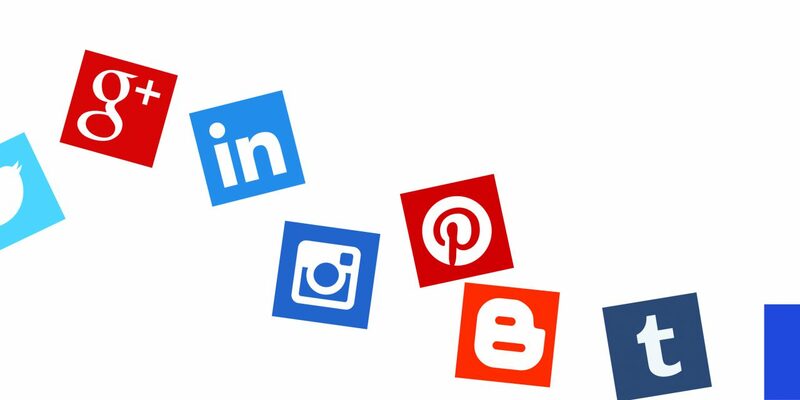 In Digital Marketing we have multiple social media platforms which allow marketers to reach to a much larger audience in a much shorter time. However, with so many networks available, it becomes difficult to keep up with the competition and without regular postings the business becomes obsolete and disappears from the market. 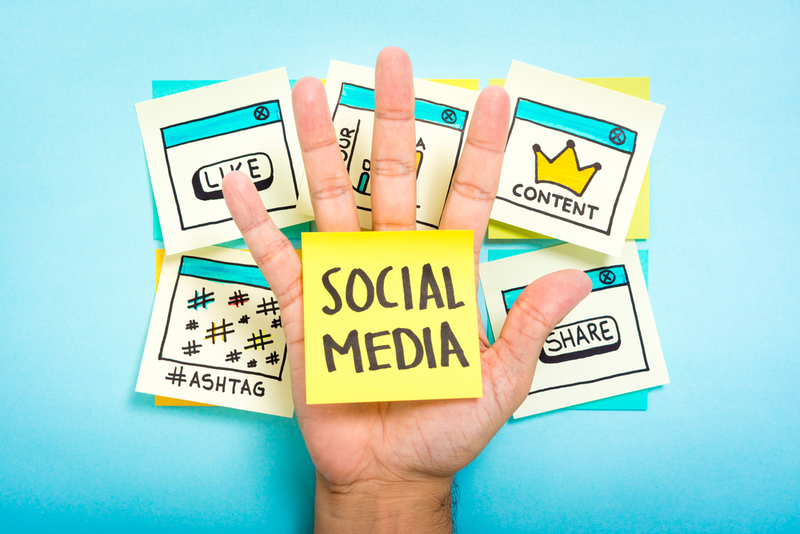 Therefore, it is smart to use a Social Media Management tool that helps you by simplifying your content strategy and maintaining your social presence with regularly scheduled updates and news feeds about the new occurrences in your business. Socioboard Core– a product of Socioboard– resonates with the idea of using social media to promote businesses at a massive scale. 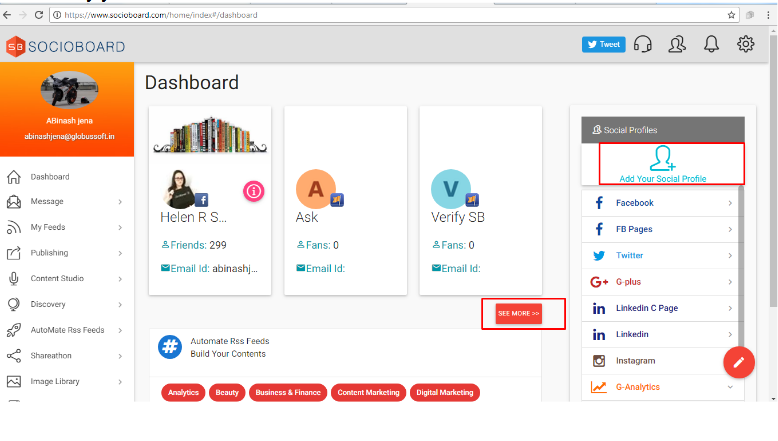 Socioboard is an open source social media tool which allows its users to modify and customize the program according to their requirement, giving them the freedom to own the social data and choose from a wide range of Social Tools. It uses in-built analytical programs to survey the current and most popular trends in Digital Marketing and reports back to the user to help him make an informed decision. With the mobile app you can also manage your posts on the go without harming your brand’s image. 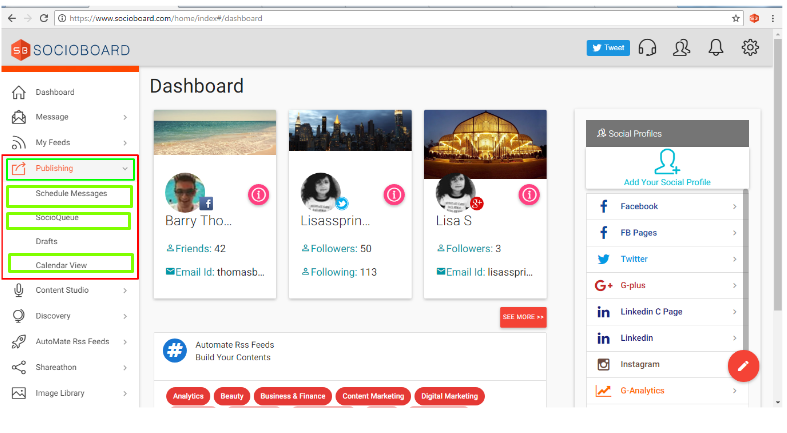 Socioboard is the only tool which provides its users such extensive marketing facility. The one golden rule of marketing is to make your presence felt over your competitors by repeatedly advertising your products, to imprint your image in the customer’s mind. Advertising constantly on 9 platforms can bring a major boost in your clientele, but only if it is strategically planned. Once you create an account on Socioboard, you can buy a suitable plan and you will be directed to the dashboard. Here, you can create profiles for each network and view them using See more option. With Socioboard you can schedule your posts in advance to be published at the time when it can reach more users. Just go to Publishing and Schedule messages or queue them for later publishing with SocioQueue. Or manage your posts with date and time in Calendar view. Socioboard promises to help brands and businesses understand the workings and know-how of social media and strives to aid them in harnessing its real power. More than 90% businesses, both large and small, use Social Media as their main marketing platform. With traditional marketing channels such as word-of-mouth, the probability of targeting the right audience is less for a number of reasons. 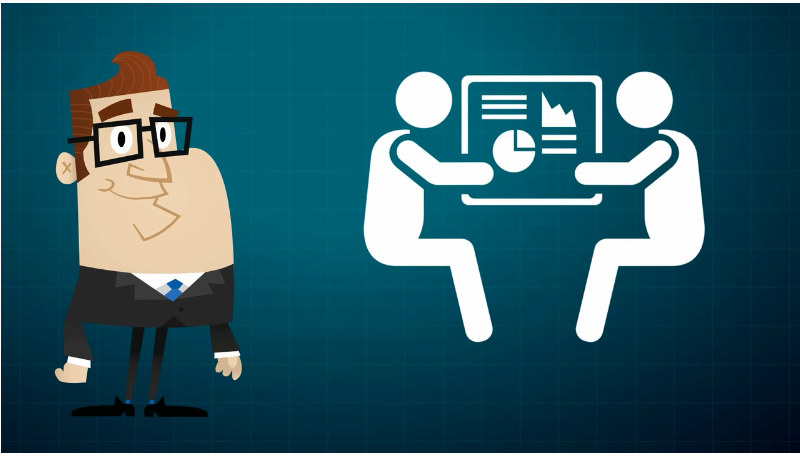 But Socioboard uses analytical tools to read performance metrics and focus the marketing on the right audience. 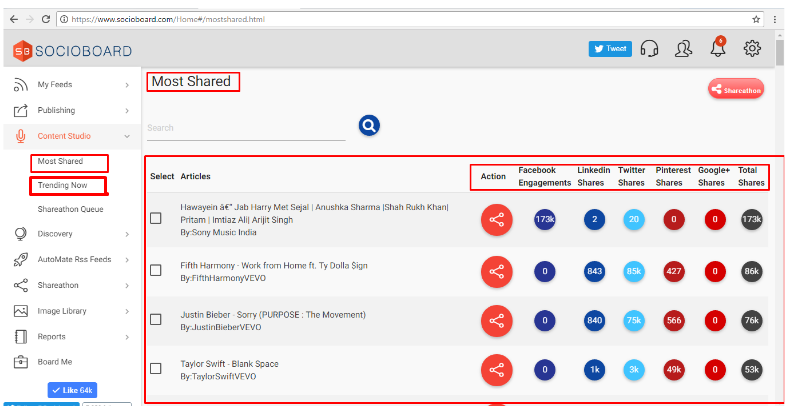 Socioboard allows you to pick and extract from among the trending posts on other social platforms. In the Content Studio you get a constant update on the most shared and recently trending feeds from all your networks and with one click can share the relevant posts through your accounts. Socioboard is equipped with statistics engines that monitor whether the website traffic is favorable or not. 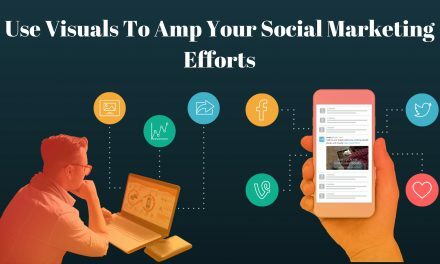 They also determine the reach and popularity of ads and posts by following on the number of likes, shares, positive comments and other specific performance metrics and present it in a report individually for each platform. All this data can then be used by marketers to plan their campaign and target the users in their niche. 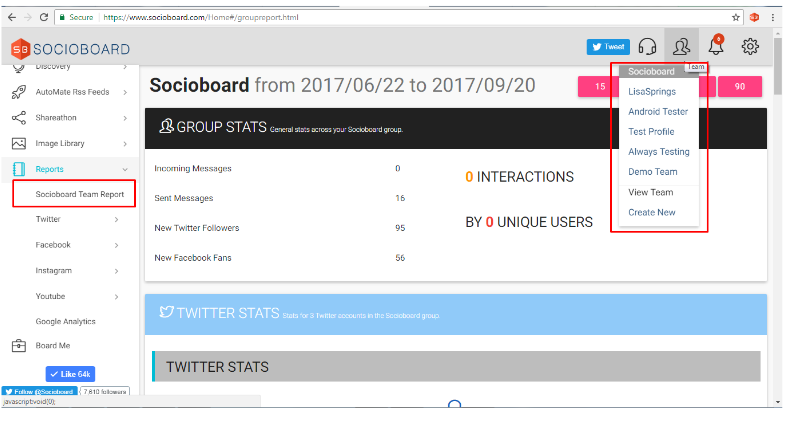 Socioboard also analyses the performance and activities of your social accounts, maintaining a record of the incoming and outgoing messages, generates a report based on that. 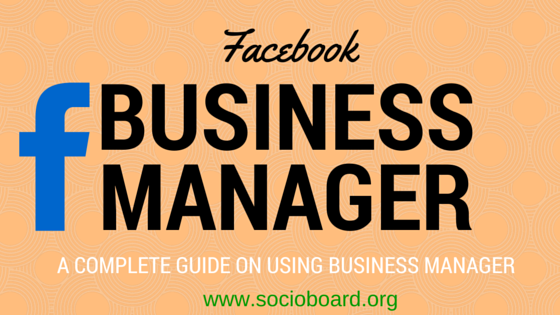 It reports data such as number of new followers, click links, Facebook fans, shared pages etc. and breaks it down by age, gender, and other metrics showing the daily engagement of your posts. It also allows you to check your team stats under Socioboard team reports. Socioboard is not only conveniently open-sourced but is also portable and easily accessible in various formats across multiple media. For instance, you can use Socioboard on your computer for your based-out-of-home business , or on your phone for your traveling sales business, you can download the Android or iOS versions and continue to grow your business from anywhere in the world. Socioboard makes it easy to schedule the publishing of a post at a particular time and in particular groups based on the niche of your market. Download the latest version of Socioboard for Android on Google Play. 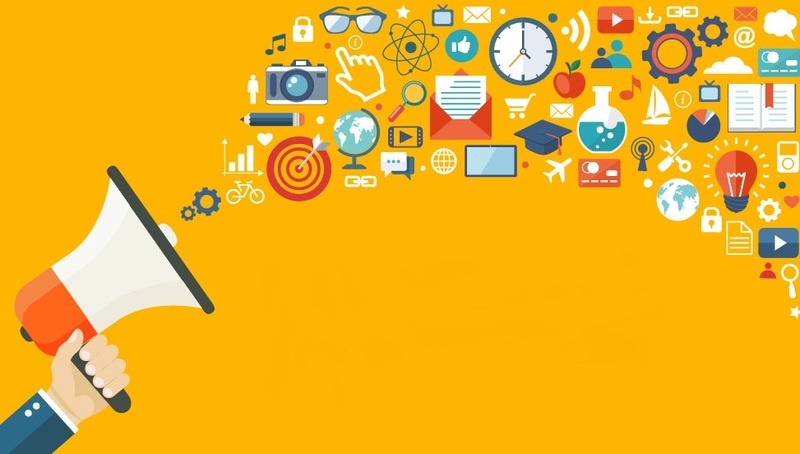 The world of digital marketing is brimming with tools and applications to help brands improve their credibility and visibility across various platforms. But none of those programs provide you the freedom to mold the tool to suit your needs. With Socioboard’s open-source code, businesses can tweak parts of the program to accommodate their specific needs relevant to their genre and target audience. 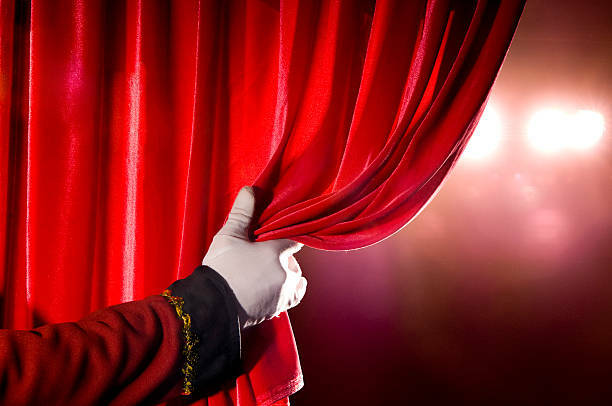 Not to mention, open source code provides you more security than closed codes as you can, technically, peak behind the curtain and take a look at the architecture of the tool. You can make sure that the program does not misuse your data and only functions according to your whim. Another interesting feature of Socioboard is that it is extendable as plugins. 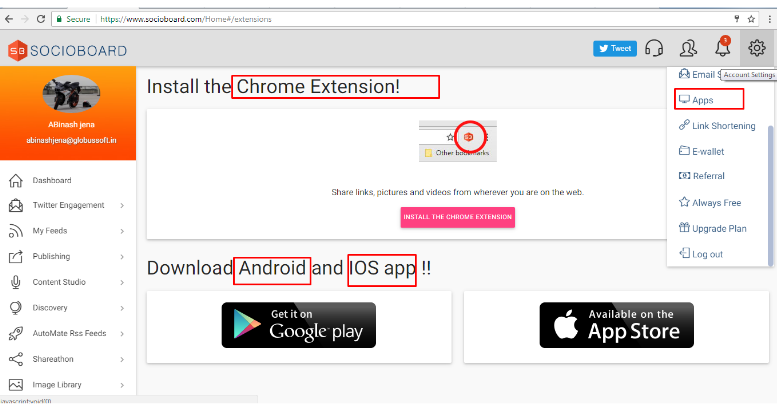 When a program is extensible as a Plugin, it means that it allows customization by addition of software components. Socioboard lets its users add plugins in order to better customize the software to suit their marketing needs without modifying the core structure of the program, thus maintaining its integrity. Socioboard has succeeded in bridging the gap between businesses and customers by providing tools and programs to allow large scale marketing. It further gives smaller and new emerging businesses support to compete with well established market giants not simply for generating leads but also successfully converting those leads into commercial customers. Additionally, the open-source easily customizable code ensures that smaller brands can use the software to reap full benefits without incurring high costs. 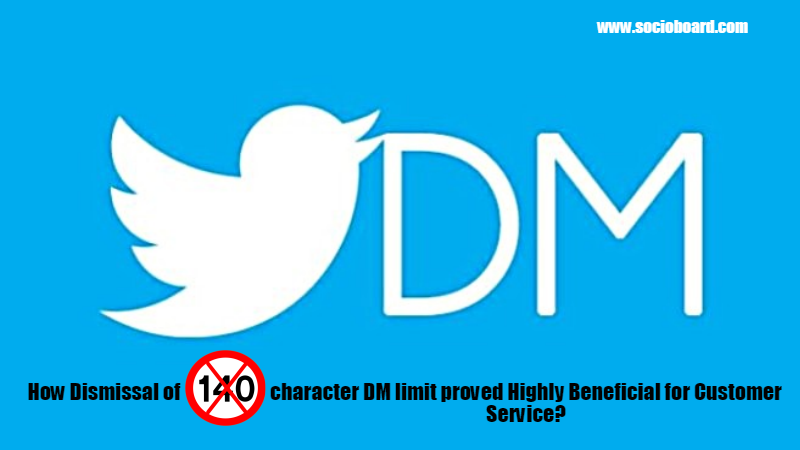 How Dismissal of 140 character DMs limit proved Highly Beneficial for Customer Service? How to Mutate Your Posts for Different Social Media?